As part of the chassis design and manufacture team, the Front and Rear Space-frame, Anti-Intrusion Plate, Steering Column, Bolt-Ons and the Rear Bulkhead will be our main areas of concentration. Put simply, we serve as the skeleton/framework/roll cage onto which all the other components are attached to and the safety of the driver is dependent on. 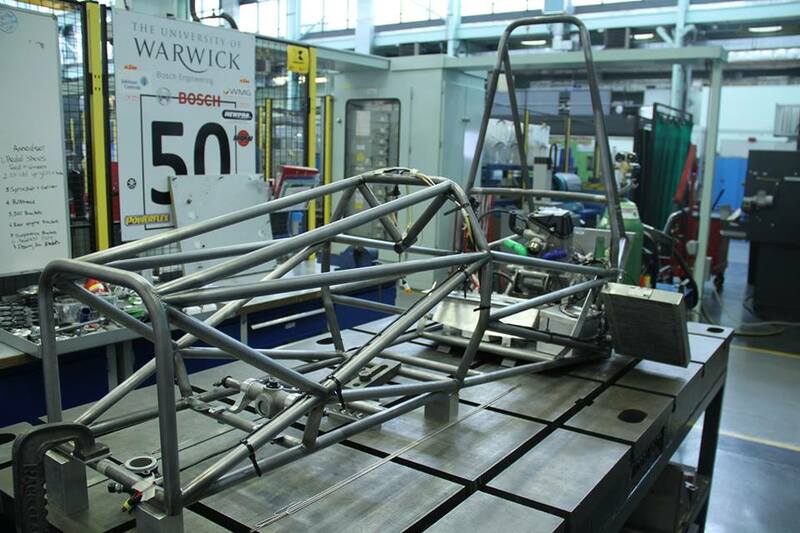 This means that our design must not only reduce in weight and increase in rigidity by increasing the use of composites and incorporating advanced space frame designs, but also take into account our tight time frame and the need for relatively easy and quick repairs if the chassis is damaged during testing/racing. Design a chassis for the following years WR8 which we hope to incorporate a front, rear spoiler and aerodynamic floor.